How darling are these! I love that you promote the reason we celebrate Christmas! Yea for putting Christ back in Christmas! New to your site and love all the bling! Thankful for JUBILEE!!! LOVE this website!! I just found your site through interest. I LOVE LOVE LOVE the rag quilts and especially the rag tree skirt. I also make rag quilts but yours are really so country and thats the look I enjoy. My favorite Christmas design is the nativity scene rhinestone. I already have my shirt ready to wear all month long at school. I would love to win another design to add to my December wardrobe! I love Jubilee Rhinestone!!! This is my first year purchasing items from your site. I use your product to make praise dance outfits for out church. The product was very easy to use and the end results where awesome. I will me making a purchase today so I can start making new outfits for the praise dancers to wear for our Christmas program at church. Love it!, Love it! Love it! I am a customer for life!!!! I love receiving emails on all the new designs. I have used many designs for family Holiday presents and teacher gifts. My daughter is a teacher and her fellow teachers are always waiting to see what new design we come up with. Thank you for all the inspiration. 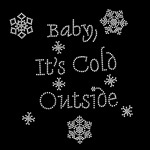 This is going to be my first Christmas in my bling business and I can’t wait to get stuff made!!! I love a lot of your designs!!! And your service is great!!! This is the only place I have found that has the material I need , I love you all !!! It makes me feel more festive if I’m wearing a shirt with sparkly bright Christmas designs! Jesus’ Birthday is why Christmas is my favorite occasion!!! 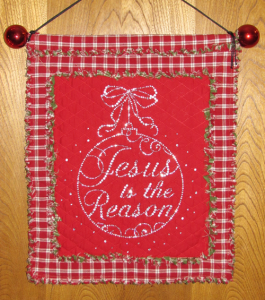 God Bless Jubilee Rhinestones for making products that allow me to share my faith in a fun way. I just discovered your website and your blog. I would love a chance to win this awesome sparklyness! I LOVE your designs and especially the quality! So easy to use and so many compliments! Thank You! I am so excited that I stumbled across you earlier this year. I always love to support small businesses, and the fact that you are Christ-followers makes it that much more special. Blessings to all of you as we approach this busy time of year. May the real reason for the season be alive and well in your hearts. What I love most is your Christian website and its nice to see scripture and deal with Christians. Thankyou for all you do. God bless you. I love seeing your new designs for each holiday! The small designs are great for adding bling to the cheerleading bows I make. It would be great to win one for christmas!! Thanks for the great website! I love bling any time of the year but it is a must for the Christmas holidays..here’s hoping I win..thank you !! Every time I see your new designs I get great new ideas!!!!! 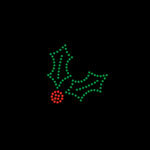 I love opening your emails and I love your new Christmas designs!!!!!!! Can’t decide which one to choose!!!!!!! Love your bling! I bought some for myself and bridesmaids for shirts! Hope to win some Christmas Bling! Thanks! Christmas is my favorite holiday! I would love to win some bling to show off my Christmas spirit! Jubilee has NEVER disappointed me as some sites have. I make shirts for Moms to support their kids playing sports or cheering. It is sooo rewarding to see them wear them proudly. I always look forward to see the surprise and quote that Jubilee sends. Please keep up the good work. 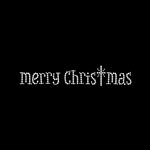 I love the Merry Christmas with the cross for T. Thanks for the giveaway. I love the idea of the wall hanging. I never would have thought of that! Thanks for the giveaway. 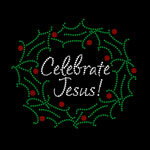 I love the green and red wreath that says Celebrate Jesus! After all, that’s what Christmas is all about! 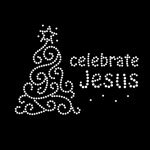 It would be awesome to win Christmas bling items, and show the reason for the season!!! It would be amazing to win this. Love your site! So many pretty things! Waiting for my first order to arrive! I love your designs!! Keep up the great customer service! Jesus is truly The Reason For The Season. We are truly blessed. I love your company, and how you include the Lord in all that you do! Thank you for including Jesus, the one and only reason for Christmas, in your products! Those are beautiful. 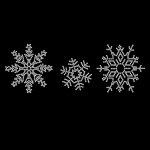 I really love the snowflakes with and without the saying and the Merry Christmas one. Oooo, Christmas bling! Love ‘em! Jesus is the reason for the season!! Love Christmas!